China has invited Russia to participate in the construction of a Chinese space station, but Moscow has yet to make an official decision, Roscosmos head Igor Komarov has told reporters. Russian space experts explain why Russian-Chinese cooperation on a new space station would undoubtedly benefit both sides. Speaking to journalists Monday on the sidelines of the international aviation show in Le Bourget, France, Komarov said that "they [the Chinese] have made an offer; we are exchanging proposals on participations in projects, but they have a different orbital inclination [standard], a different orbit and somewhat different plans from our own." "For now, there are agreements and plans for the future, but we do not have anything concrete," the Russian space agency head said. Earlier this year, China completed testing of its space laboratory, and declared that it was ready to begin construction of a new space station beginning in 2019. Earlier, Xu Yansong, the director for international cooperation at the China National Space Administration, confirmed that construction of the planned low earth orbit space station should wrap up by 2022, and that the project would be open for cooperation with other countries. In March, Komarov said that Russia plans to use the International Space Station (ISS) until 2024, after which a new type of station would appear. "It will be a different station of a new configuration. There is an understanding that it makes no sense to go it alone; that it's necessary to create it together," the head of Roscosmos noted. In April, Russian media published excerpts from Roscosmos's development strategy for the years 2025-2030, showing that the Russian segment of the ISS may be separated and embark on a stand-alone mission after 2024. 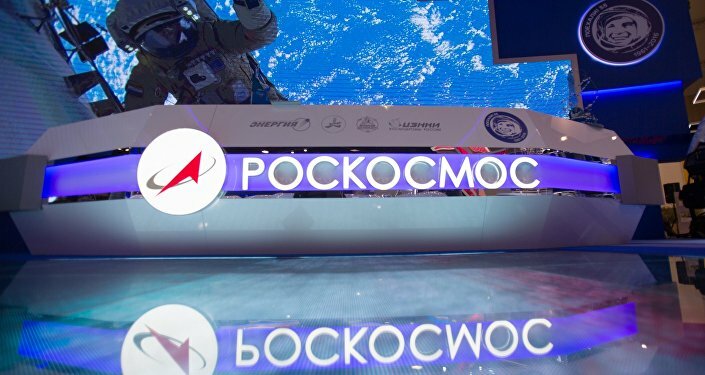 Last month, Russian Deputy Prime Minister Dmitri Rogozin, whose portfolio includes the defense and space industries, told media that he had instructed Roscosmos to look into the possibility of developing the ISS in cooperation with the BRICS group of countries. Asked whether Russia would benefit from cooperating with China in the construction of a new space station, Andrei Ionin, a member of the Tsiolkovsky Russian Academy of Cosmonautics, said that in the context of deteriorating relations with Russia's Western partners, and the Russian space program's financial difficulties since the collapse of the USSR, cooperation with the Chinese is essential. "Almost all the countries participating in the ISS have imposed sanctions against Russia, which should be viewed as a long-term and geostrategic instrument of big-league politics. In these conditions, the prospects for further cooperation with these former partners look rather difficult," Ionin noted, speaking to Russia's Svobodnaya Pressa online newspaper. The International Space Station (ISS) uses a modular design first perfected by Soviet engineers in the 1980s. "Therefore, either we agree with China, or we try to attract other players for a joint project; otherwise, we will loosed our manned space flight capabilities altogether, because on our own we do not have the resources for big projects," the academic stressed. Partnership with China wouldn't be a one way street of kowtowing to Beijing, either, Ionin said. He recalled that Russia, and the Soviet Union before it, spent many decades "perfecting the technology for the long-term operation of space stations, while for the Chinese this large project will be their first. I strongly doubt that they will be able to implement it immediately and over the long term [without help]." "But if a strong player like Russia joins the Chinese space station project, it would immediately transform," the expert added. "I'm not even talking about the fact that by some strange coincidence the planned docking station of the Chinese station coincides with Russian standards, meaning there would be no problem with docking for Russian ships." As for the issue of different standards on orbit, Ionin recalled that NASA had over a long period launched their shuttles into various orbits, including to the ISS. "Therefore, nothing prevents us from launching vessels to the Chinese space station, which in the future could grow into a new, large project." Ultimately, Ionin stressed that it's necessary to promote possible Russian-Chinese cooperation in space using all possible means. Notwithstanding any problems that would almost certainly arise in cooperation between Roscosmos and the China National Space Administration, these are nothing compared to the opportunities gained by both sides. For his part, Ivan Moiseyev, the scientific director of the Institute of Space Policy think tank, told the online paper that while cooperation with other countries was important, the issue of the Chinese station's planned orbital inclination was a major stumbling block for cooperation with Russia. 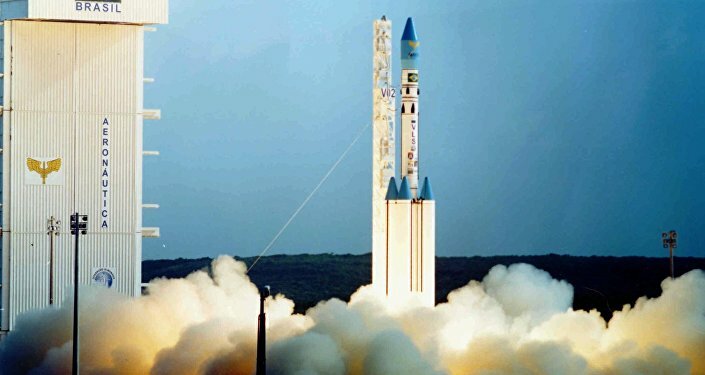 "The Chinese launch their satellites into orbit at an inclination of 40 degrees, and their space ports are further south than ours," the expert explained. "Russia launches its space vehicles into orbit at an inclination of 51.6 degrees (the same as that of the ISS). If we start launching ships to the Chinese space station, we will lose out on the useful payload we can send up. This loss wouldn't be so significant for single launches, but given long-term cooperation would be strongly felt. Meanwhile, if the Chinese choose our preferred orbital inclination, then they too would lose on payload on a regular basis, and this is something that's quite expensive." Moiseyev noted that based on his information, China's new space station will likely be similar to the Soviet Salyut-7 station, featuring several modules, "but its size will be two times less than the Mir space station." China, he added, had already purchased many of Russia's existing space technologies in the 2000s. Therefore, he suggested that it's a big question whether they will need Russian expertise further. To Be or Not to Be: At 20 ISS Goes Strong, But for How Long? As for the ISS, the expert said that while the international station will continue its work up to 2024, its future is uncertain, "even though all its participants, including the US, would benefit from its continuing its operation until 2028. This is a fact because for the period after that, so far, no one has presented any plans, but has only held philosophical discussions. In the future, it will be necessary either to terminate the manned space program altogether, take a pause, or continue to use the ISS until a new idea arises that is of interest to all parties." The ISS is a joint project involving Russia, the United States, Canada, Japan, and ten members of the European Space Agency. Autonomous Martian Colony: A Pipe Dream or Future Reality?